The name of Glenmorangie is one of the most famous in the world of whisky. 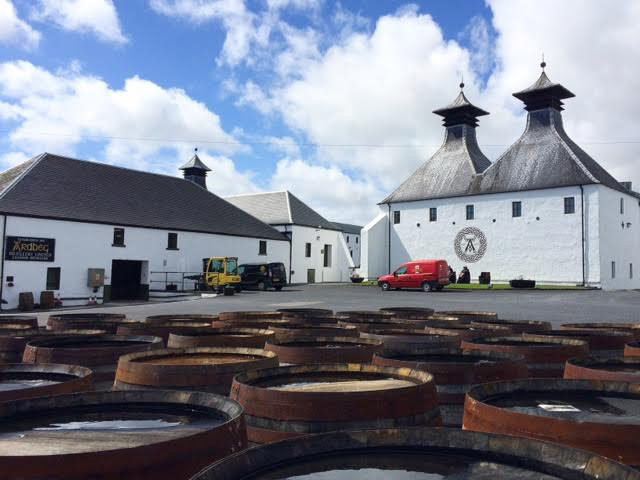 The distillery is located in the Highland town of Tain and is approximately 40 miles (65km) north of Inverness. 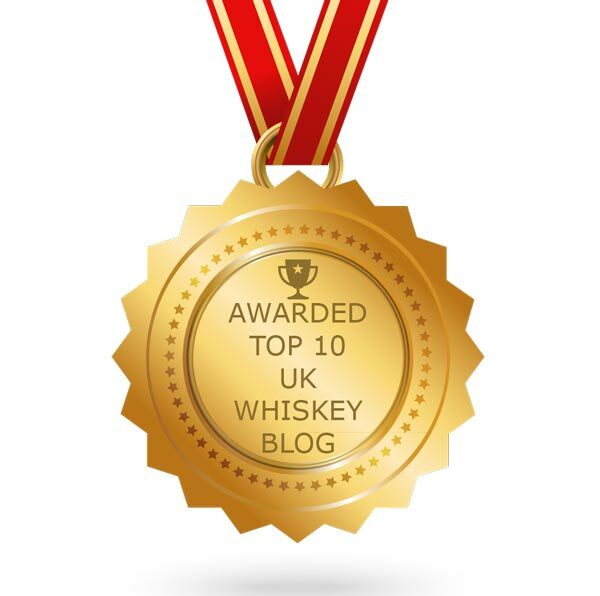 Their single malts whiskies are multi award winning and are consistently in the top three for world sales. 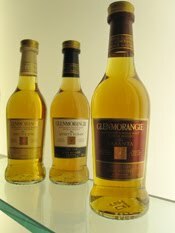 Glenmorangie Original is also the best selling single malt in Scotland. The distillery was founded in 1843 by William Matheson. 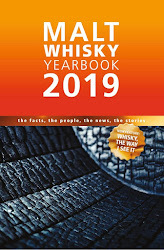 It is one of Scotland’s largest whisky distilleries with an increased annual production capacity of six million litres, following the addition of two new stills recently. The stills at Glenmorangie are the tallest in Scotland at 5 metres (16.5 feet) high and make the still house resembles a cathedral. They are all exact replicas of the original stills that were purchased from a gin distillery in London in 1843. 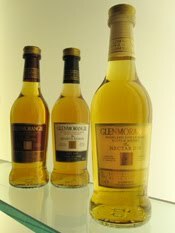 We have more information and history about Glenmorangie in its distillery profile page on our website, whiskyforeveryone.com. 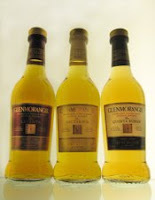 Approximately two years ago, the current owners of Glenmorangie (drinks giant Moet Hennessey) decided to revamp their range. Out went the limited edition cask finish range to be replaced by the Extra Matured range. These would become a permanent feature in the core range and contain three whiskies - the LaSanta, Nectar D'Or and Quinta Ruban. All three are initially matured in American oak ex-bourbon casks before being transferred to other types of cask in order to give each one a differing flavour profile. The LaSanta is transferred to Oloroso sherry casks and the name means 'warmth and passion' in Gaelic. In the case of the Nectar D'Or, the whisky is part matured in Sauternes dessert wine casks from France (Nectar D'Or translates as 'golden liquid' from French - a local affectionate name that Sauternes wines are often given). The Quinta Ruban is matured in Port casks and the name is taken from the Portuguese word quintas, which are the vineyards where grapes for Port production are grown. The colour of LaSanta is golden amber and the nose is very promising. There is plenty of honey and caramel initially and these are followed up by a lovely combination of aromas - woody oak (reminiscent of old dusty furniture), dried fruits (think of sultanas and dried orange peel especially), sweet toffee and spicy cloves. On the palate, this feels full bodied, viscous and velvety. The honey and caramel are again initially prominent, before combining well with other rich elements such as dried fruits (imagine brandy soaked raisins and orange peel), warm woody spices (such as cinnamon and nutmeg), nuts (think of hazelnuts and almonds and oak. The whisky seems less sweet than the nose suggests. The finish is long, sweet and fruity (combine the caramel, dried fruit and spice elements from before) with a distinct woody, almost earthy note appearing at the end. The colour of Nectar D'Or is bright gold and the nose feels indulgent and sumptuous. It is packed with sweet honey, vanilla and cereal grains. There is also a lovely combination of floral honeysuckle, dried grasses, woody coconut and these are complimented by a slight bitter citrus edge (think of grapefruit). 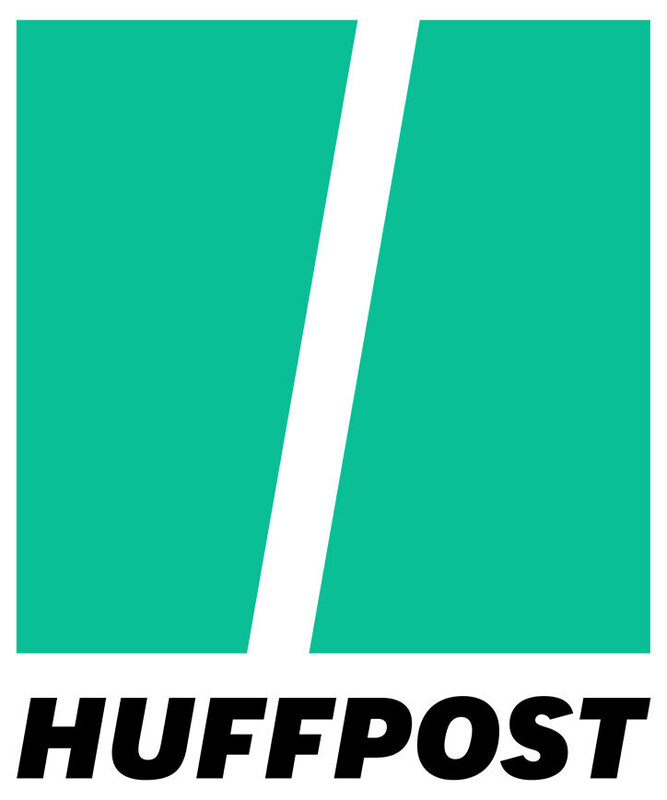 The palate is soft, smooth and silky with a medium body. It feels rich and sweet and has a well balanced mix of characteristics - honey, vanilla, coconut, cereal grains, new oak (think of fresh sawdust), dried grasses, plump sultanas and warm spice (imagine ginger). The finish is shorter than that of LaSanta but is sweet, delicate and fresh with a delightful subtle complexity and a touch of ginger and cinnamon to compliment the honey, citrus and vanilla. Quinta Ruban has an amber colour with a distinct red tint. The nose is dominated by dark dried fruit (think of raisins) and spices (imagine a combination of cinnamon, nutmeg and cloves). This is sweet and rich with some orange zest, damp wood and hints of milk chocolate coming through also. The overall feeling is reminiscent of fruit cake. 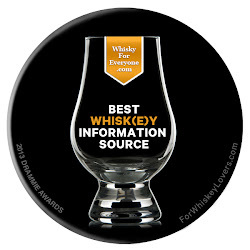 On the palate, this whisky has a medium body and is rich and mouth coating. It feels even sweeter and fruitier than the nose suggests and is packed with burnt sugar and dried fruit notes (those raisins again). In addition, there is an orangey zing and plenty of cinnamon spice, plus hints of stewed fruits (think of pears in red wine), butterscotch, and milk chocolate or cocoa. The finish is surprisingly short, considering richness of nose and palate but has an excellent combination of orange zest, wood spice and fruit. 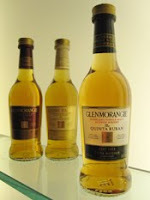 Glenmorangie have done a very good job with the Extra Matured range. 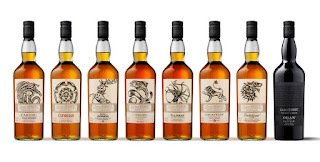 each whisky has its own character and could appeal to different drinkers. The LaSanta is very nice and definitely one for a late evening, after dinner or in colder weather - it is a warming and succulent dram that offers a comforting 'hug in a glass'. The Nectar D'Or is more sublime and luxurious that feels more summery and fresh - this is a whisky that you sip and savour, then sip and savour some more. The Quinta Ruban is equally as enjoyable but feels a bit like the complicated 'grown up' sibling of the three - the other two have simpler, more defined flavour profiles. Quinta Ruban grows on you with every sip, becoming very moreish and has deep complexity that holds your interest. They are all top quality whiskies but if we had to choose then Karen's favourite is Quinta Ruban and Matt's is Nectar D'Or. Great review! I had a chance try these 3 at Whiskies of the World and thought they were all excellent. Thanks for providing more info on the line. I'm looking forward to spending more time with (hopefully) each of them.